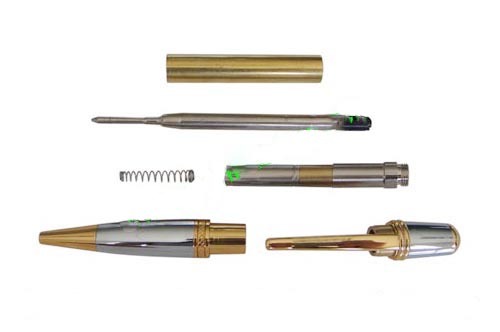 These are very popular pen styles that all use the same bushings and drill bit. 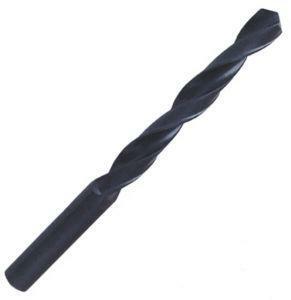 If you are currently turning pens like the Sierra, or Wall Street II then you have the needed bushings and drill bit. 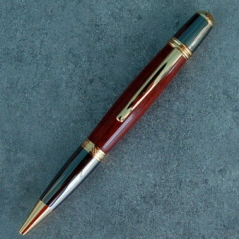 This bit is required for the Aurora, Elegant Beauty, or Sierra Style Pen or Pencil Kits. Aurora Pen kit Chrome with Black Accents. Beautiful pen for any serious collector. Aurora Pencil Kit-Gold/Gunmetal, this is a beautiful kit just right for anyone who takes pride in their writing instruments.